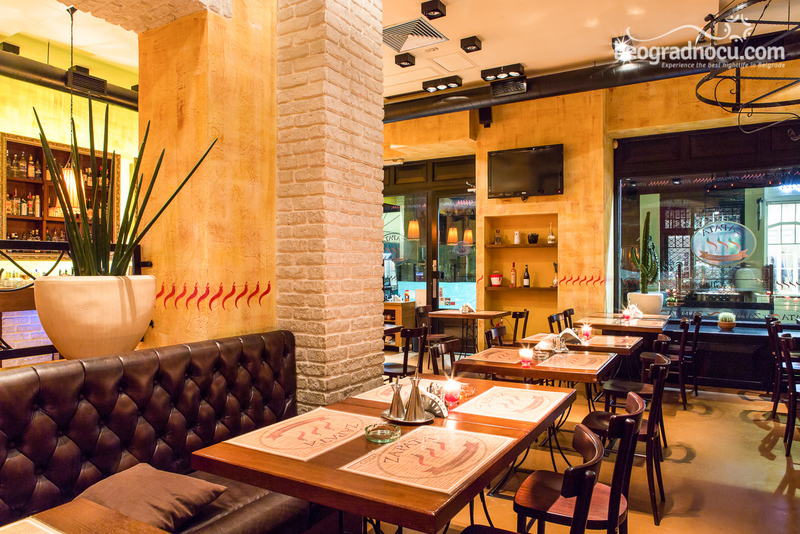 Restaurante Zapata Ciudad is located at one of most popular location in town, at Vuka Karadžića No 14 - heart of Belgrade. 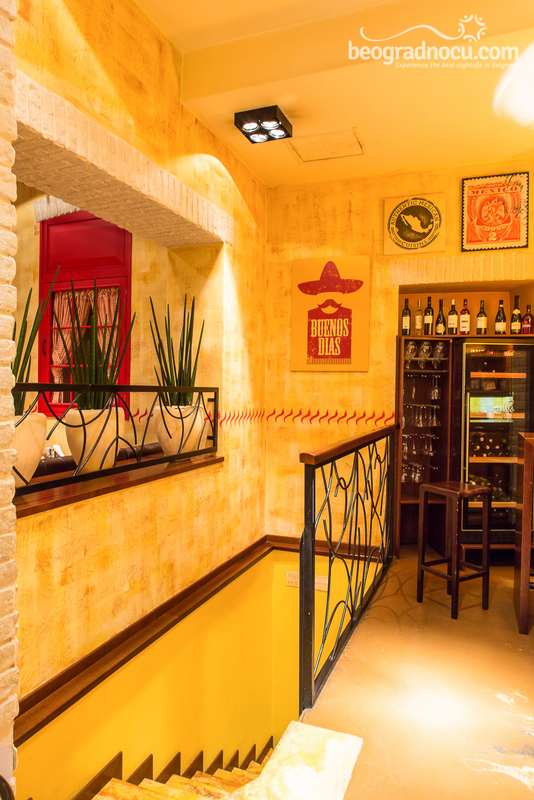 Trademark of restaurant Zapata Ciudad is authentic Mexican unique cuisine that will undoubtedly delight you if you like to experiment with food. Besides remarkable Mexican specialties here you can enjoy in real spirit of Mexico. 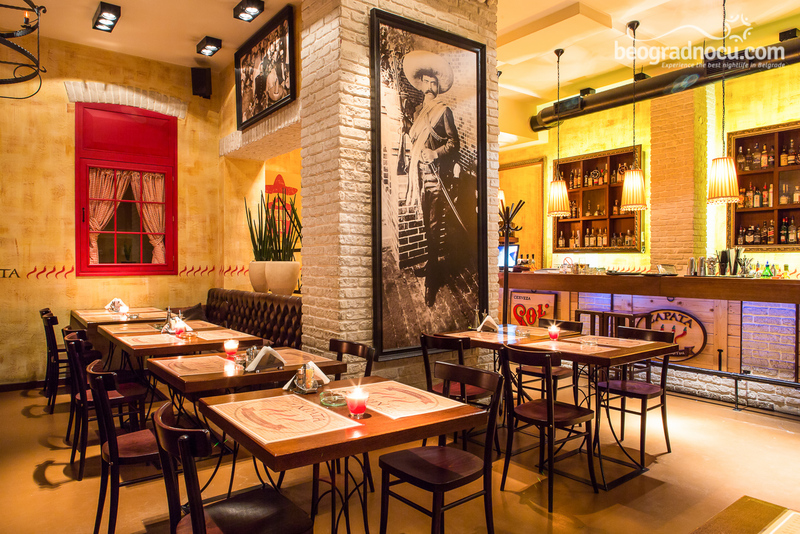 As already famous restaurant ''Zapata'' and ''Zapata Rio'', restaurant Zapata Ciudad also grows trend of quality service. 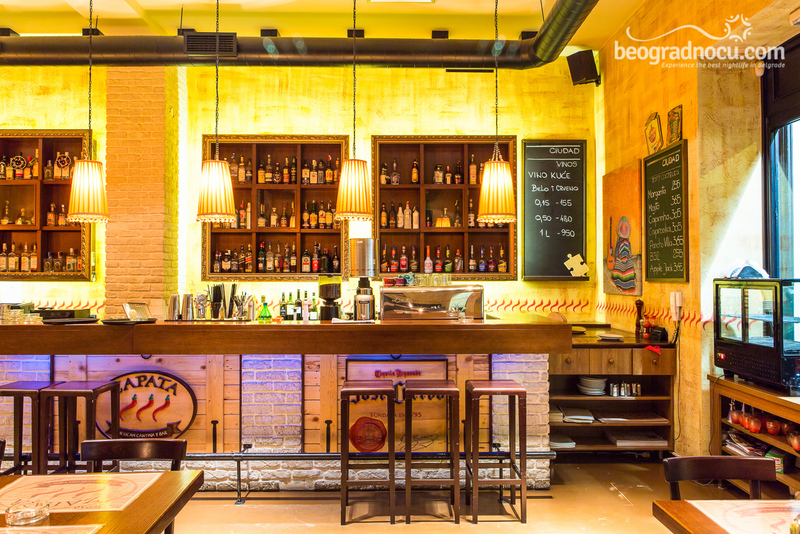 In short time notice, this restaurant has gained numerous admirers and lovers of Mexican cuisine. 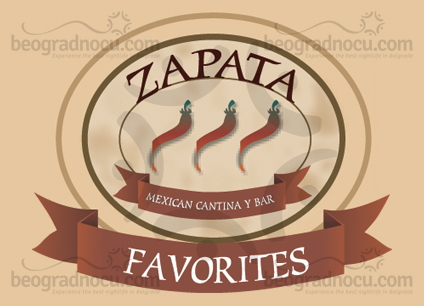 In restaurant Zapata Ciudad staff is very professional and you will be very pleased with service. 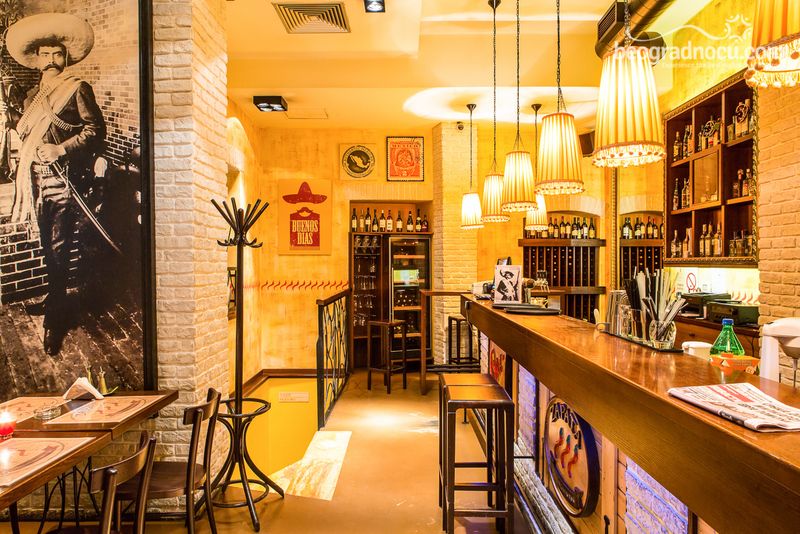 Restaurant Zapata Ciudad has wide selection of drinks tequila, margarita, tacos and other Mexican specialties that will awake your imagination. Do not miss to enjoy in gastronomic and hedonistic place with best specialties of intrigue Mexican cuisine. 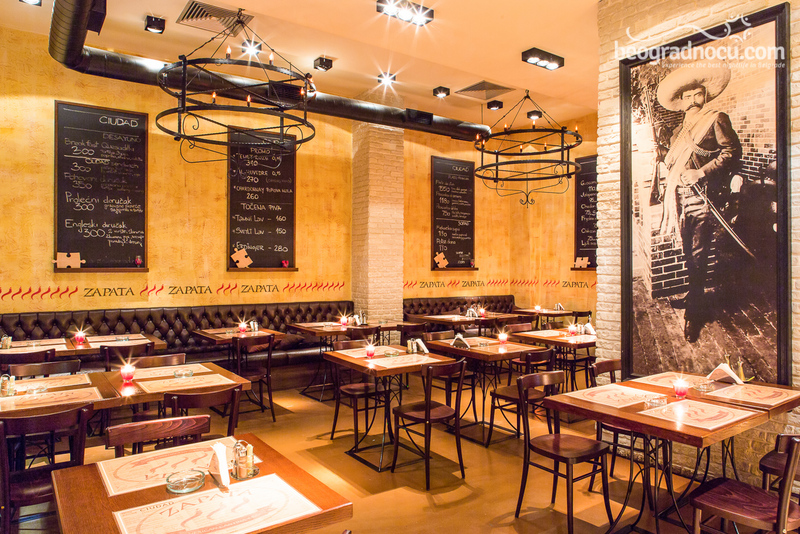 Restaurant Zapata Ciudad is opened for you pleasure from 9 am until midnight. 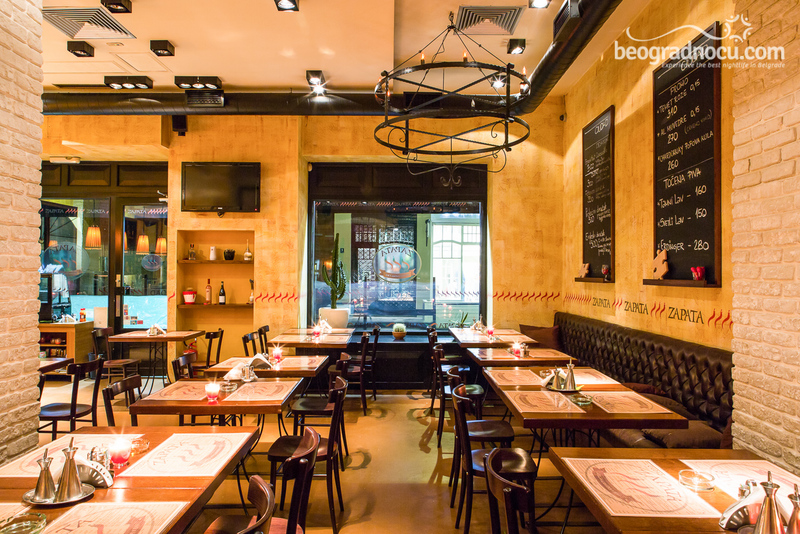 This restaurant is also ideal daily break with friends or evening date with your special someone. Music program is mostly latin which further contribute to Mexican spirit. 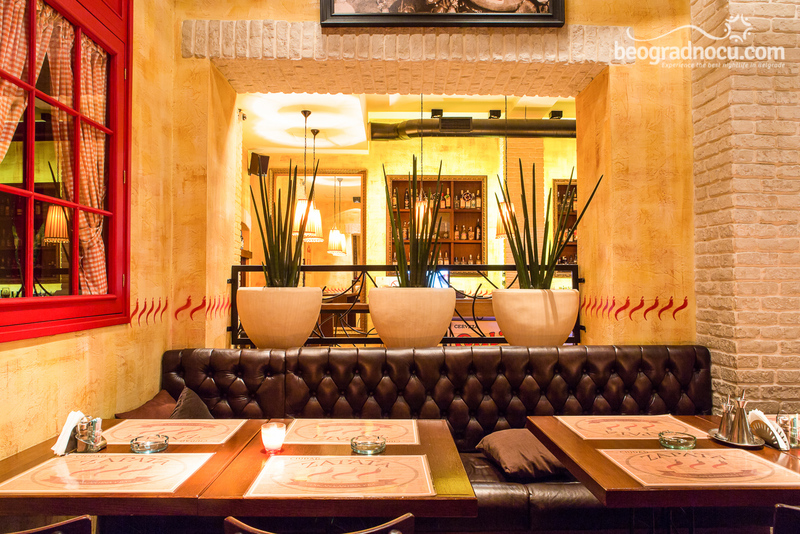 Interior of Zapata Ciudad is story for itself. This place is architecturally very well designed and wherever you are you will be in centre of attention, but you will also have privacy for yourself. 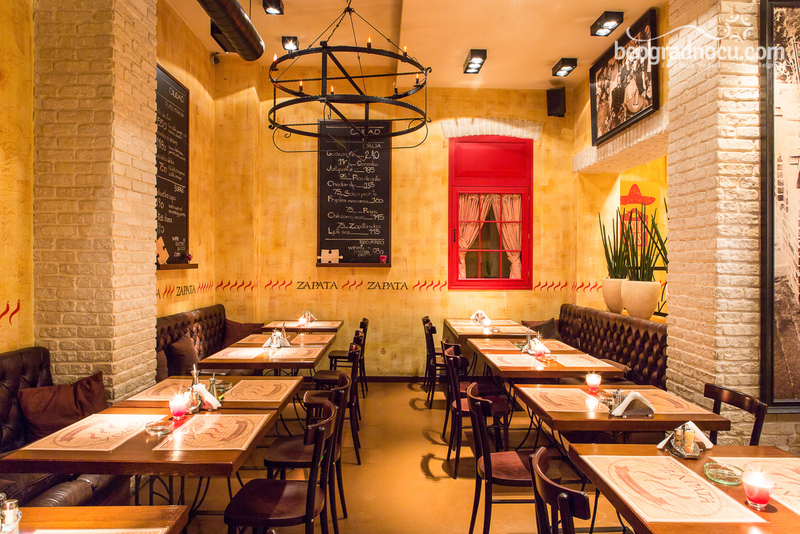 Restaurant Zapata Ciudad accommodates 70 people. 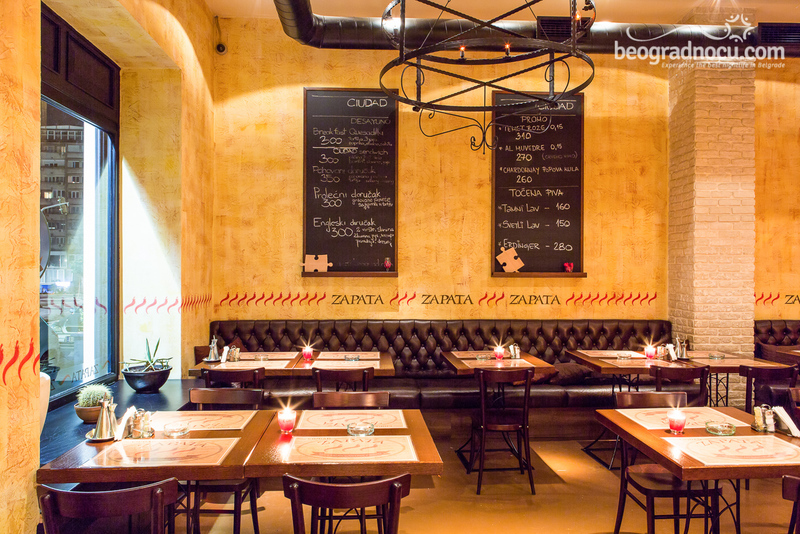 Make sure to visit restaurant Zapata and see for yourself what capital has to offer.